My girls were assigned Christmas music at piano lessons today, Starbucks has their infamous (green!) holiday cups out, and Target's dollar section is offering felt ornaments. It may be time to think about how you're going to approach Advent. Remember how I quoted DA Carson the other day? He said "No one drifts towards holiness." Well, no one drifts toward Jesus at Christmastime, either. Especially at Christmastime. If you don't want to be swept away by the tidal wave of traditions that bear no witness to the incarnation, then you've got to start strategizing now. Below are some reading ideas to center your family on our Savior this year. Arnold Ytreeide writes excellent books to be read by parents to their children each day of Advent. The stories are adventurous and suspenseful. They are also historically accurate and help orient the reader and hearers to the literal coming of Christ 2,000 years ago. Ytreeide's writing is so descriptive that you can almost smell and hear the scenes in his books. We've read Jotham's Journey, Bartholomew's Passage, and Tabitha's Travel's. 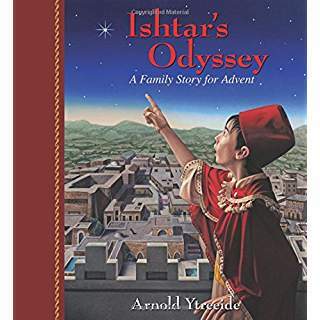 I plan to order Ishtar's Odyssey to read this year. My kids loved listening to me read Keeping Holiday. It is an allegorical book and best for older kids--I would say maybe ages 7 and up. It's a bit like Pilgrim's Progress, in that the main characters go on a journey in search of Truth. As a family I would encourage you to read an Advent devotional at dinnertime or breakfast each day. Maybe you can do the devotional at breakfast and the kids' book at bedtime? 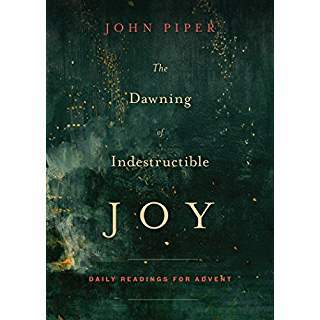 We've read through both of John Piper's Advent books together: Good News of Great Joy: Daily Readings for Advent and The Dawning of Indestructible Joy: Daily Readings for Advent. Don't think your little ones won't understand the content--they may not fully get it, but that gives you a chance to explain it to them. I'm always a fan of encouraging my kids to grapple with big truths. They're never too young to start, in my opinion. 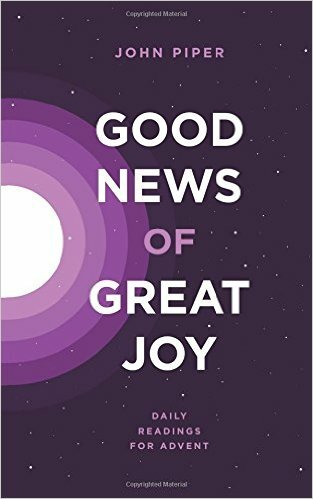 I'm intrigued by a couple of Advent books by Nancy Guthrie, which I may buy for this year. We read her book One Year of Dinner Table Devotions and Discussion Starters: 365 Opportunities to Grow Closer to God as a Family frequently. It's good for family conversation, so I imagine Let Every Heart Prepare Him Room: Daily Family Devotions for Advent will be, as well. 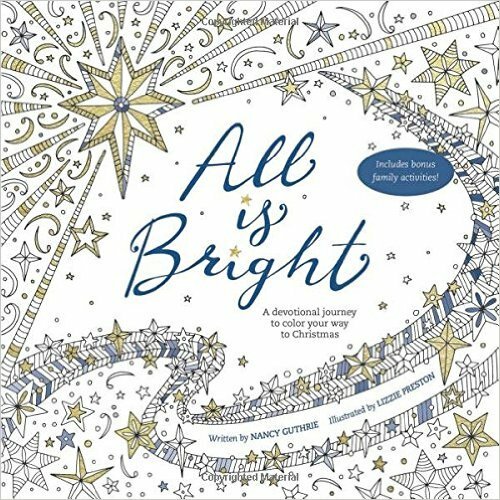 Her latest book, All Is Bright: A Devotional Journey to Color Your Way to Christmas, out just last month, looks like it might be especially enjoyable to my girls who love to color. Two things impressed me most about this book: the warmth and engaging call of the gospel in every chapter, and Keller’s skillful way of handling complex theological topics with wonderful precision. Keller’s treatment of the favorite Christmas passages is complete with God’s sovereign grace, man’s corruption and sin, the need to respond in faith, the fact that faith is something only God gives, the Lordship that salvation demands, and on and on. I’ve never seen it put so humbly, so gently, so clearly, so accurately, so concisely. But the average reader won’t even know he’s reading a theological tour de force—it’s just the Christmas story, well told, suffused with the gospel. Advent begins on November 27 this year. We have 24 days to get our game plan on.